“OER are teaching, learning, and research resources that reside in the public domain or have been released under an intellectual property license that permits their free use or re-purposing by others. Open educational resources include full courses, course materials, modules, textbooks, streaming videos, tests, software, and any other tools, materials, or techniques used to support access to knowledge. Atkins, D.E., Brown, J.S. & Hammond, A.L. (February 2007). A Review of the Open Educational Resources (OER) Movement: Achievements, Challenges, and New Opportunities. Report to The William and Flora Hewlett Foundation. p. 4. Organisation for Economic Co-operation and Development (OECD). (2007). Giving Knowledge for Free: The Emergence of Open Educational Resources. Paris: Centre for Educational Research and Innovation, OECD. p. 10. A quick handout with definitions for common terms and phrases related to Open Education. Self-paced modules created by Open Washington to learn about OER and why it matters. A faculty resource for adopting, using and re-purposing openly licensed educational resources. Lumen Learning. This wiki-style handbook is designed to help educators find, use, develop and share OER to enhance their effectiveness online and in the classroom. Open tutorial about OER by Algonquin College. This course is meant as a primer to anyone interested in learning more about the OER movement. It provides learning opportunities related to the origins of open resources, copyright and open licensing. It also acts as an overview of searching best practices both on the web and in OER repositories. Are you considering incorporating open resources into your course to save students money and improve teaching and learning? Watch this 6-minute video for some tips for finding Open Educational Resources to build or add to your classes. Watch this short (2:22 minutes) animated video about open education and why it matters. Source: Why Open Education Matters from Blink Tower on Vimeo. 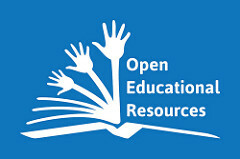 This guide contains materials derived from multiple works: "Faculty Guide to Open Educational Resources (OER)" by Highline College licensed under CC BY 4.0 ; "Austin Community College (ACC) Library Services Guide on Open Educational Resources" by Carrie Gits licensed under CC BY 4.0 ; and "OER - Open Educational Resources" by Portland Community College Library licensed under CC BY-NC 3.0.